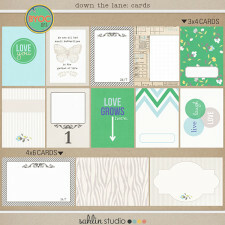 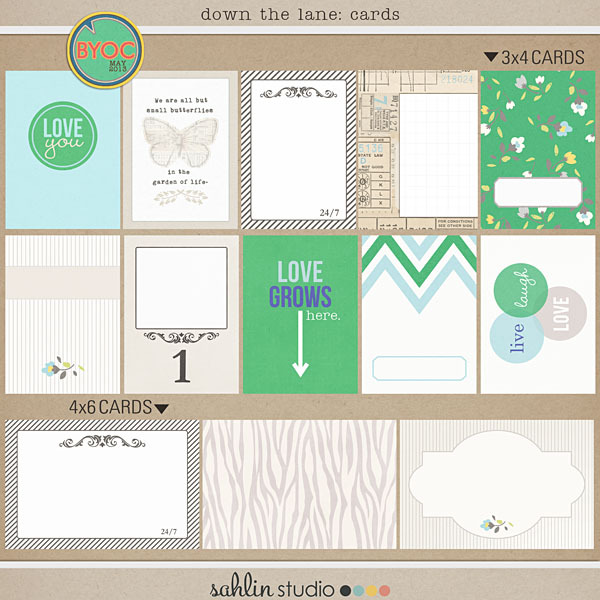 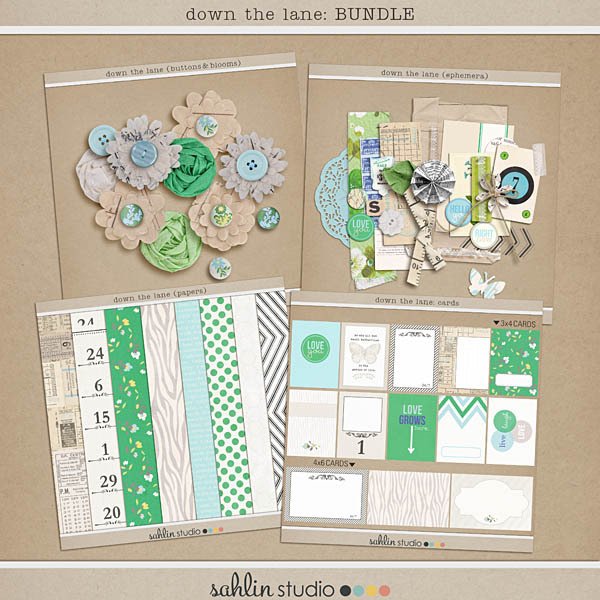 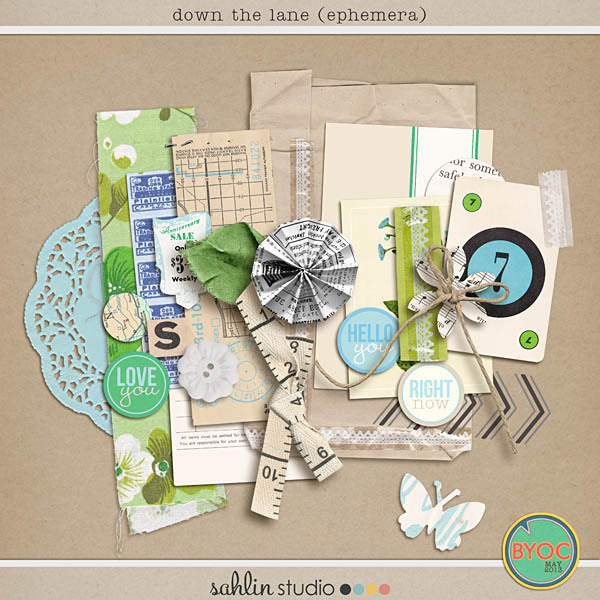 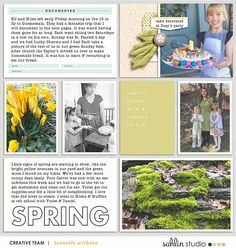 With it’s mix of touchable ephemera, clean design, and a uniquely modern color palette, Down the Lane is full of the joyous wonderment of a fresh Spring day. 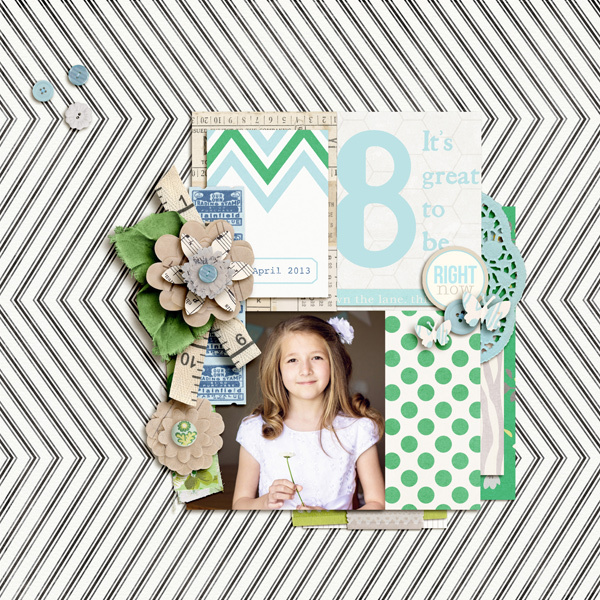 The polka dots and zebra strips, journaling cards & fabric bits are all a great way to add beautiful patterns & texture to your favorite pages. 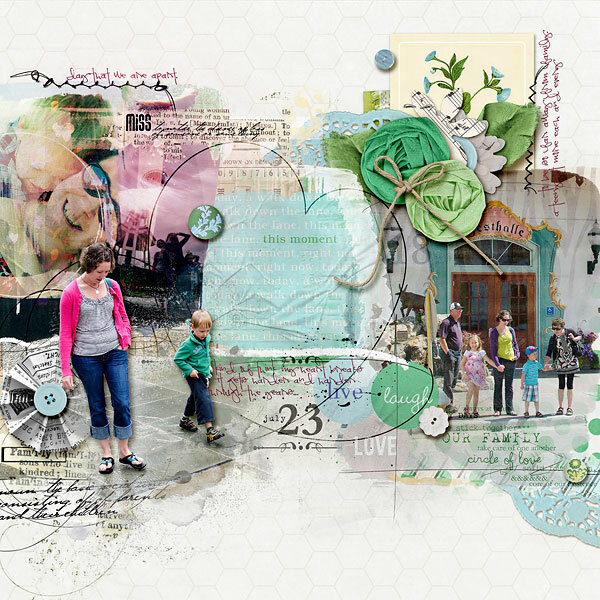 Use them to scrap a hike in the mountain air, a beautiful day spent playing with the kids outside, or just time spent antiquing with your sweetheart in those quirky shops downtown. 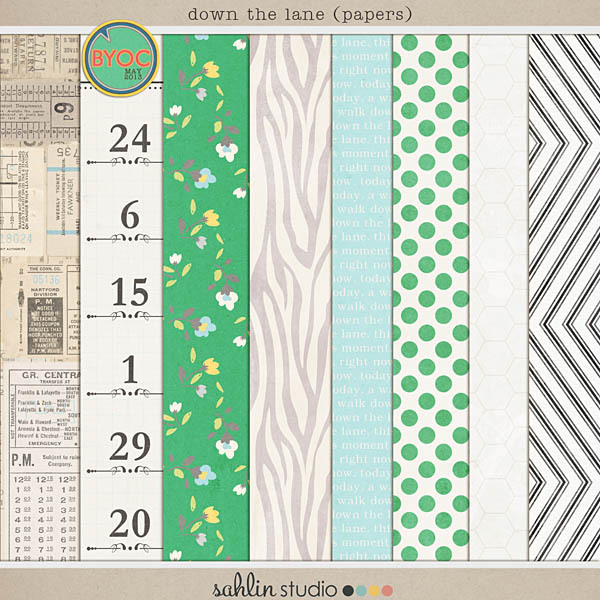 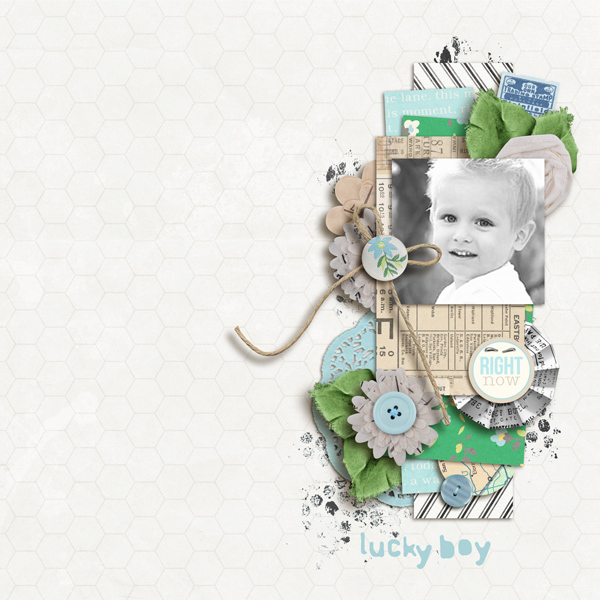 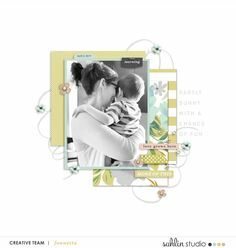 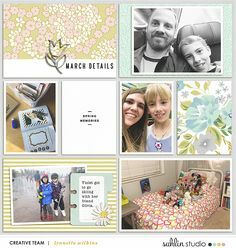 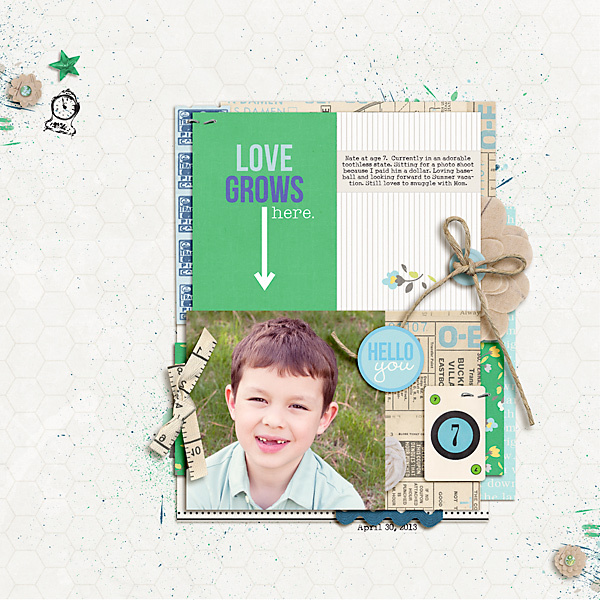 Hybrid or digital, “pocket style” or exploding with clusters- no matter what you make with them, these papers and elements are sure to help you take a trip down memory lane!